Friday the 13th - Season Opening! Passion & Inspiration│Opens Friday, Sept 4th! That Tree and Nature Pottery runs through Aug 31st and you don't want to miss it! Special Exhibit Opens this Friday, July 3rd! See What's Happening in June at MMCA! Behind the Scenes - Seasonal Grand Opening this Friday! 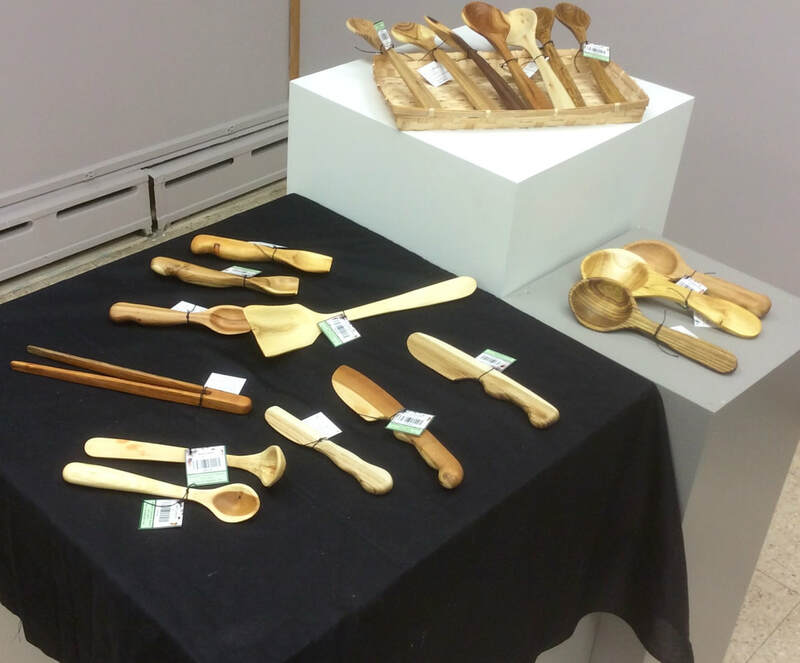 Artist Statement: After retiring from 32 years of teaching at UW-La Crosse, I took a Driftless Folk School class and entered the (surprisingly large) world of spoon carving. Now, I carve spoons nearly every day, much of the carving and sanding done as I walk my dog, mornings and evenings. I like to help people get started with spoon carving, a satisfying and easy craft to take up. Inspired by the Milan Spoon Gathering in western Minnesota, I have taught spoon carving classes, and organized Monthly Carving Circles, and four Annual Driftless Spoon Gatherings through the Driftless Folk School (the September 2016 Gathering attracting over 60 people from 5 states to camp and carve in the La Farge Village Park). Most of the wood I use comes from our land near Avalanche, WI, often from “undesirable” trees, such as box elder, sumac, Siberian elm, mulberry, grapevine, honeysuckle, buckthorn. Or it may come from prunings from our cherry, apple, pear, & plum trees. I choose wood for its figure and color. What doesn’t come from our land is a gift from a friend. My spoons are not art objects: they are carved to be used in cooking and eating. Unlike many spoon carvers, I sand spoons to a fine finish (and cure them with walnut oil or flaxseed oil) so they will have a smooth, durable surface for working with food.